Q:How many letters can I have for personalization? 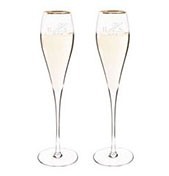 Modern in style, these personalized rim champagne flutes are an elegant way to sip on some bubbly at your wedding. 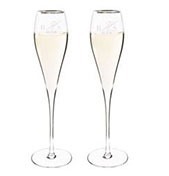 Each glass features a silver rim and holds seven ounces. 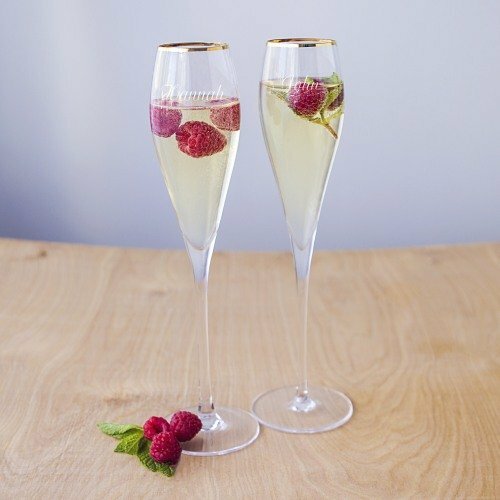 Enjoy using these with dinner and dessert and your wedding, and continue to use them at special occasions for years to come.